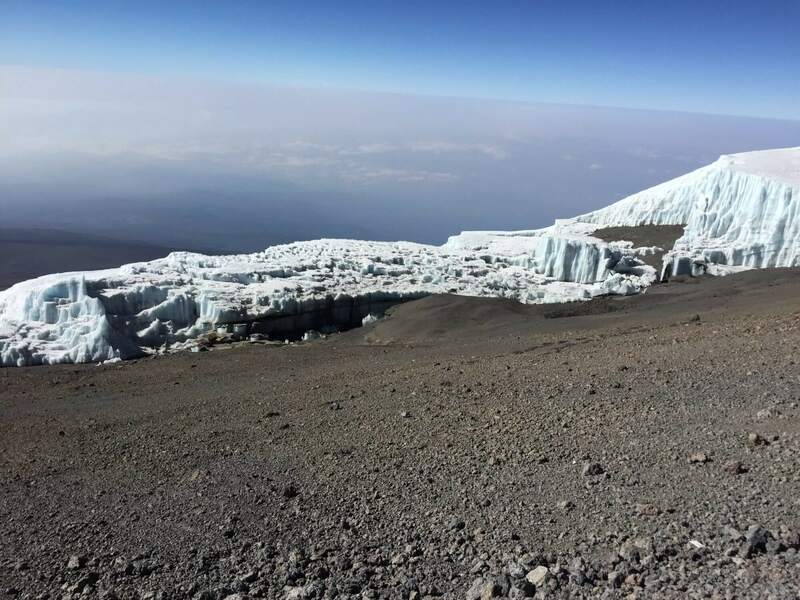 There’s something about climbing Kilimanjaro that sparks the imagination in people. Is it because its one of the more accessible mountains to climb or is it it’s tropical like setting on the equator topped off by glaciers surrounding the summit? 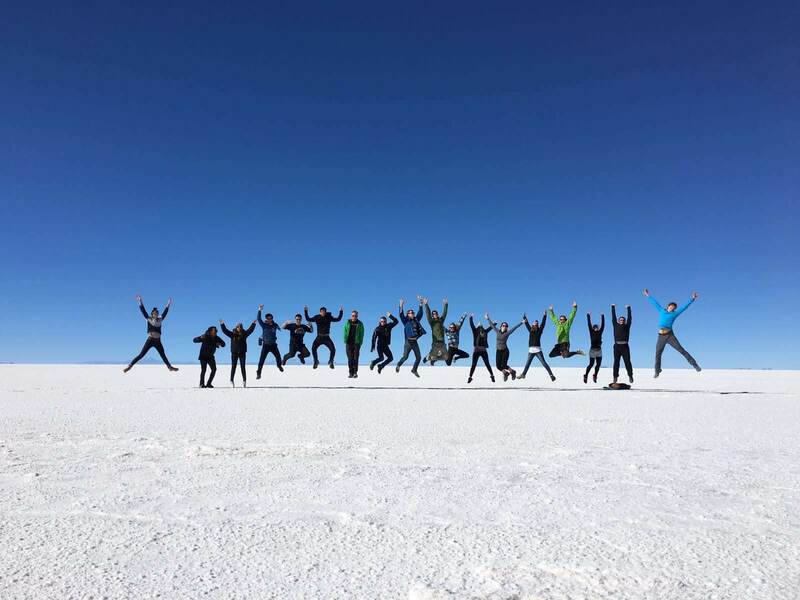 While not as highly regulated as the Inca Trail in Peru it isn’t something you would want to do without a full support group behind you. Just getting there isn’t as easy as you would expect in this day and age of air travel. Flights are into either Nairobi in Kenya which then entails an 8 hour bus ride and a border crossing but the more popular route is flying into Kilimanjaro International (usually with at least one stopover depending on your starting point) about 45 minutes away from the main town of Moshi, where you will start your hike from. 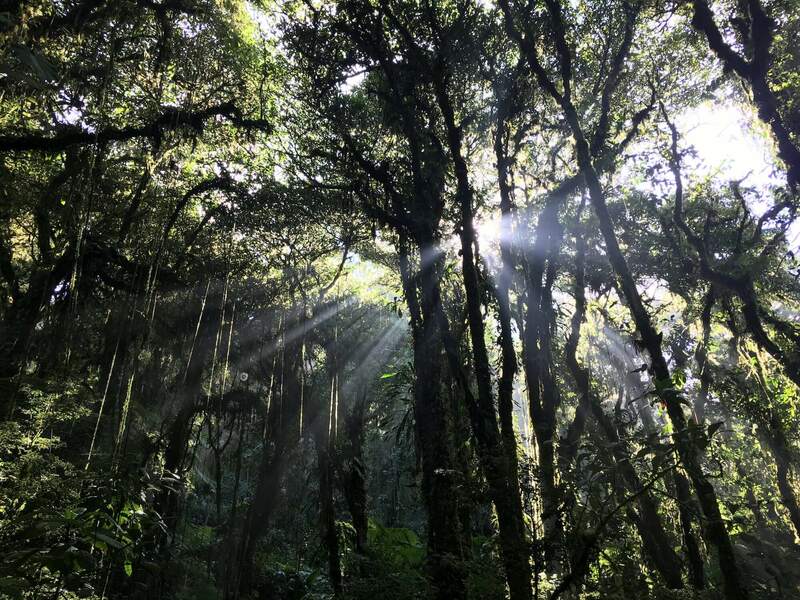 There are only a couple of airlines currently flying to Kilimanjaro International so it’s highly likely you will have to get creative with your travel itinerary to get there. Prices when I travelled were’t much different between Nairobi or Kilimanjaro. A taxi from Kilimanjaro International to Moshi in September 2015 was US$50. From Nairobi there is a daily bus service crossing the border for a very reasonable price, if you have the time and patience to sit through it. Moshi itself seems purpose built for Kilimanjaro and also as a base for Mount Meru, Tanzania’s second highest mountain but it is also a surprisingly large metropolitan city in it’s own right. On the first morning of your climb you will usually have a chance to stop off to buy any last minute supplies (chocolate bars and biscuits are a great idea) at one of the many supermarkets lining the main routes up the base of the mountain before you are taken to your starting point. 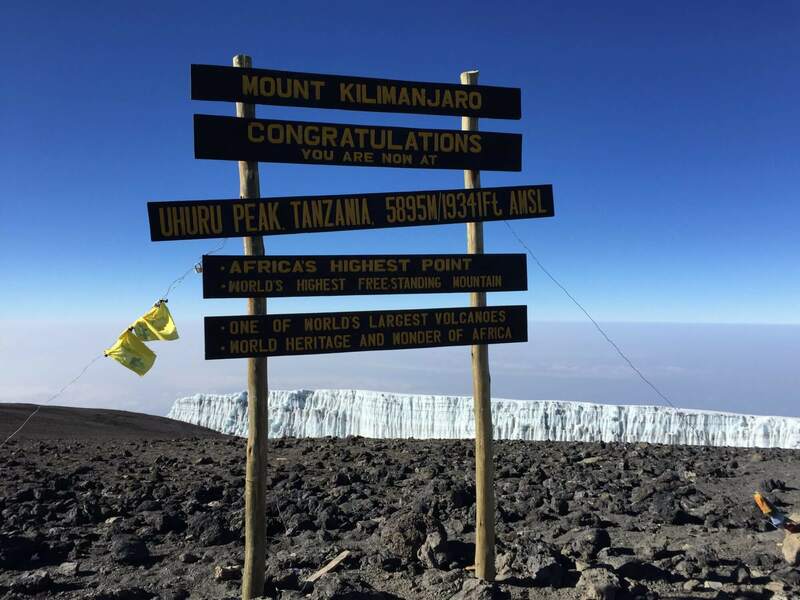 There are 7 main routes to the summit: Lemosho, Marangu, Machame, Rongai, Shira and Umbwe. There is also the Northern Circuit for a longer route and for something more challenging, and technical, you also have the Northern Breach although a lot of companies are refusing to use this route currently because of the dangerous conditions. 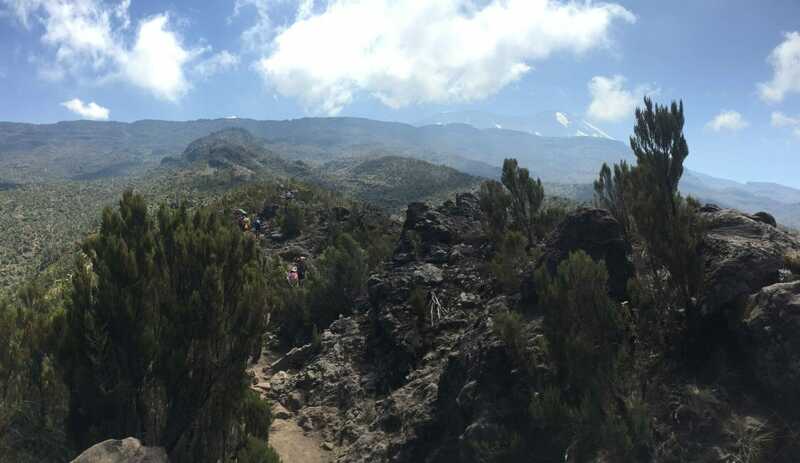 Umbwe is the most direct route to the summit but it is very challenging and chances of a successful summit attempt are less than 50% for people looking to use this route. Looking at a map of the routes you may notice another route; Mweka. There is a one way system in place on the mountain to keep the thousands of people flowing and Mweka is the exit route so it’s downhill only. 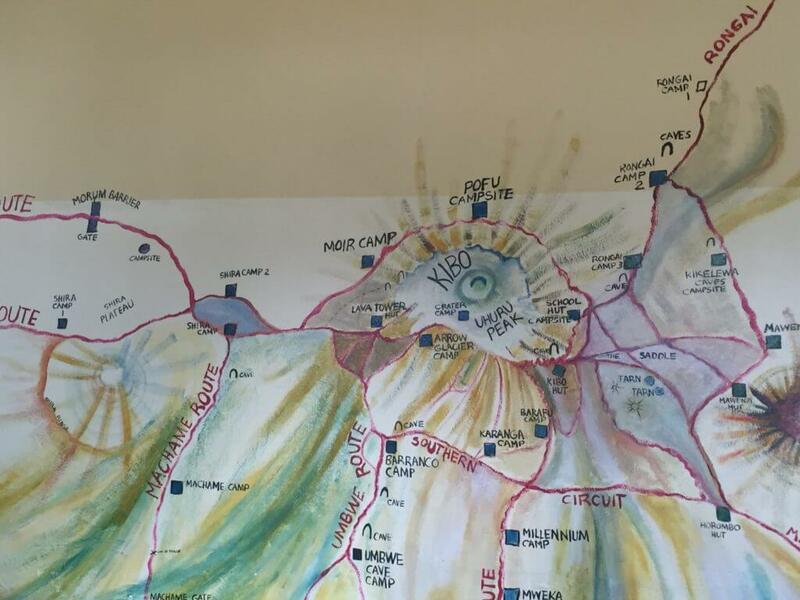 Our welcome meeting for the climb took place in a conference room with this rather wonderful map of the circuits. Roughly 50% of trekkers take what is regarded as the more picturesque route up the mountain; Machame and this is the route I took.